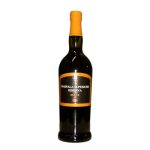 SWEET MARSALA THE HIGHER RESERVE CREATED BY THE GRAPES OF 3: GRILLO, INZOLIA DAMASCHINO.IL WINE AND OBTAINED AGE IS MADE FOR OVER 5 YEARS IN SMALL DRUMS OF CHERRY AND OAK barrels OR AGED FOR AT LEAST 3 MONTHS LATER IN A BOTTLE. THIS KIND OF PRESENTS SWEET MARSALA and full-bodied on the palate and has an ALCOHOLIC EQUAL TO 18 DEGREES. DELICATE dessert wine goes well with dried fruits, FRESH STRAWBERRIES AND CHOCOLATE.